Home | Discount Leotards ™ > Grips, Grip Bags, Balm, Etc. 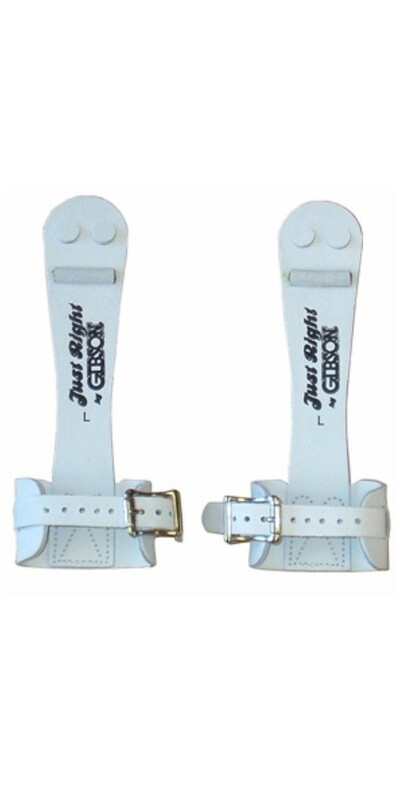 > Just Right by Gibson single buckle ladies uneven bars grips for the smaller, less wide hand. (1 pair) Comes with FREE grip bag. The Just Right Gymnastics Grip was developed for lady gymnasts who need a dowel gymnastics grip, but whose hands may be too small for the standard dowel gymnastics grips on the market. This gymnastics grip will also allow more hand contact with the bar. The Just Right Grip is constructed of the same high quality leather as a standard gymnastics grip, but is narrower and closes with a buckle for greater support and stability.